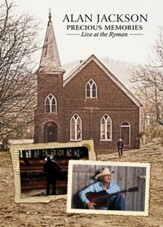 Gathered from volumes one and two in the series, Alan Jackson's Precious Memories Collection showcases the country star's gospel roots on a selection of cherished hymns and traditional songs of faith. 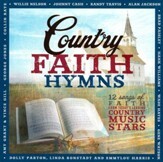 Twenty-eight songs total, including "In The Garden," "The Old Rugged Cross," "Sweet Hour Of Prayer," and others. I'm the author/artist and I want to review Precious Memories, Collection.